Tents or small camper. NO TRAILERS/RVs. Easily fits one large and one medium tent. Tents or small camper. NO TRAILERS/RVs. Easily fits two large and one small tent. Tents or small camper/tent trailer. A nice site near restrooms. Good for those with small children. Easily fits two medium/large tents. Tents or up to an 18 foot trailer. Near restrooms. Easily fits 3 tents. Tents or small camper/tent trailer. Closest site to restrooms. Good for those with small children or mobility difficulties. In center of campground loop. Tents or small camper/tent trailer. Short walk uphill from parking spot. Near restrooms. Easily fits two tents. Tents or up to a 24 foot trailer. Large, open site with lots of flat space for tents. Near volleyball, restrooms. In center of campground loop. Tent only. NO TRAILERS/RVs. Short uphill from parking spot. Two good flat areas for tents plus a possible third. Tents or up to an 18 foot trailer. Short uphill from parking spot. A large flat area fits 1 – 2 tents. Tent only. NO TRAILERS/RVs. One of the most private sites. Room for one large and one small/medium tent. Tents or small camper/tent trailer. Nice open site with room for 3 tents. Tents or up to an 18 foot trailer. Nice large site with room for 2 or 3 tents. Tents or small camper/tent trailer. Small front area but room for 2 or 3 tents set back from the road. Tents or up to an 18 foot trailer. Room for at least two medium/large tents. Tents or up to a 24 foot trailer. Large open site with lots of space for tents. Sites 19 and 20 adjoin and are great for larger groups that want to camp together. Tents or small camper. Large open site with room for two large tents. 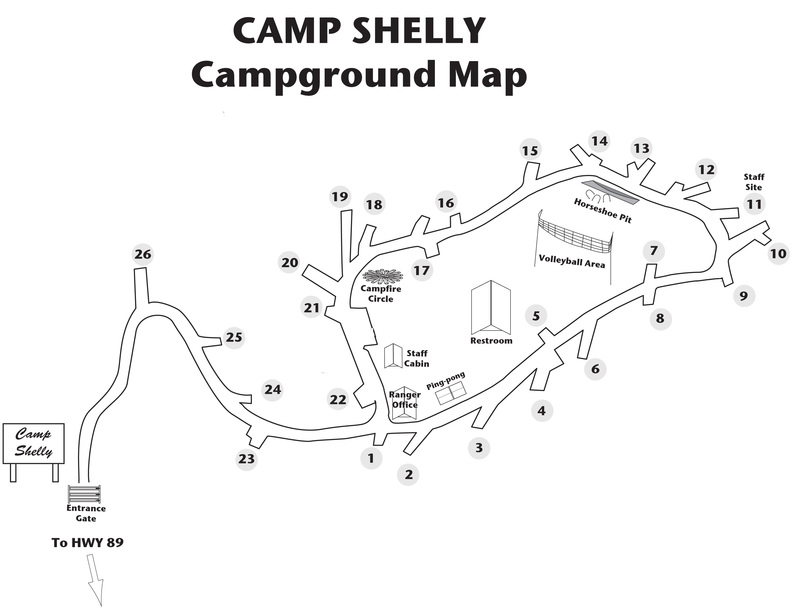 Sites 19 and 20 adjoin and are great for larger groups that want to camp together. Tents or up to a 18 foot trailer. Room for 2 or 3 tents. Centrally located near ping-pong table. Tents or small camper/tent trailer. A large, private site set back from the road. A short walk from parking spot to picnic table. Ample room for 3 tents. Tents or small camper. Fits two tents. Tents or small camper/tent trailer. A large private site with room for two tents. Tents or up to a 24 foot trailer. Nice private site at the top of the hill. One good spot for a large tent, a second could be put near the car.